Did a iperf 3 test on my ER-X SFP <> NAS and the results are worse than my Asus N56U with HWNat turned on. On my ASUS I was getting ~950 Mbits/sec between my PC and NAS connected to the same modem (switch). Offloading shows as enabled in config tree. Any workaround for my pppoe and vlan issues with Voyager. @mAYH3M Sorry I don't understand what issues you're having with PPPoE and Voyager. Is your line configured with VLAN 10? There is an option to either have it turned on, or off and sounds like your line is provisioned without it. Regarding Offloading - there are some features on the router that cause traffic to not be offloaded. Even if it is enabled in the configuration you should make sure you're not using any features (such as QoS) on the router that cause this. Read the link I posted above. This router is indeed capable at routing Gigabit to first, try a reboot and test and after that ensure that you have not got anything enabled that kills offloading. @iamsammajor Under Services edit your DHCP pool (the 192.168.1. * one) and find your NAS under that list. Ensure your NAS is on DHCP. 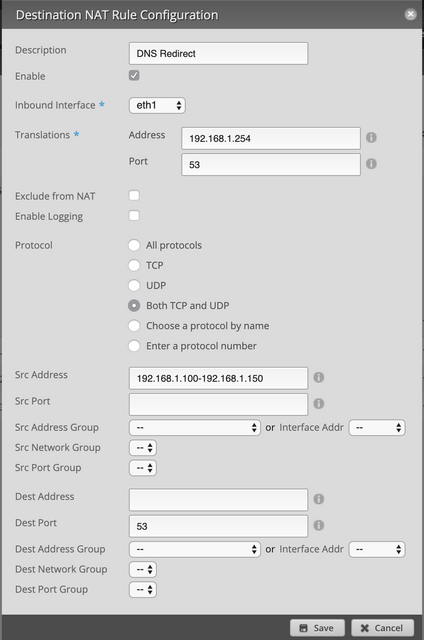 Next to your NAS listing select "Map Static IP" - ensure it doesn't already exist under the "Static MAC/IP Mapping" tab and map it with 192.168.1.88. Reboot your NAS to force it to get a new DHCP lease and you'll be sorted, it'll be available going forward on 192.168.1.88. Thanks, I finally got the IP that I want for it. Reset the router and setup PPPoE and only enabled hwnat offload.Still unable to break the ~450 Mbps mark at max.Tried both 1.10 and 2.0 firmwares. Does the ER-X SFP has a hardware switch or software switch on eth1 to eth4? I have eth0 as wan and the rest are all bundled under switch0 minus the SFP port. 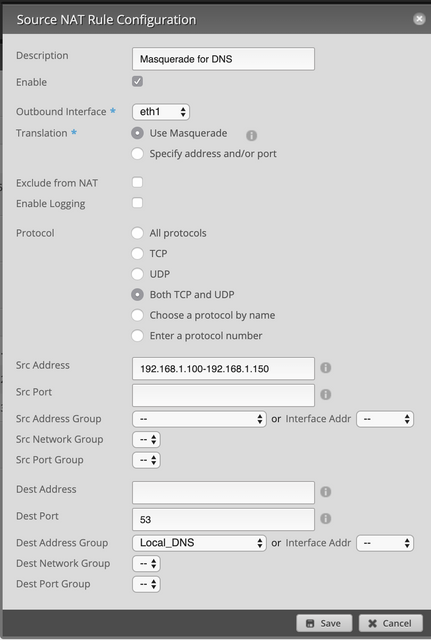 Does the Edgerouter 4 have port forwarding with loopback. The ERL lite does so the 4 should as well. Sorry (again) for this question from a dummy. I have my new Edgerouter 4 working well with DHCP reservations and Port forwarding. Do I simply make Destination 8.8.8.0/24 and next hop 10.1.1.1 ?